Highly desirable townhouse just a skip from the convenience and action of town yet tucked away in a quaint and quiet neighborhood. Enjoy your own private fenced yard, gardens and deck; views of Snow King; and a garage. 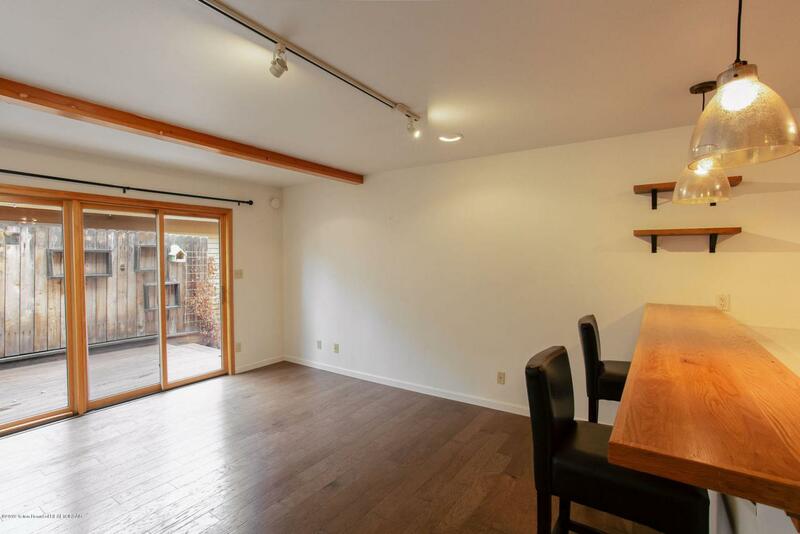 The townhouse itself is crisp and clean with nice natural light, wood floors and other tasteful upgrades. Vacant and ready to move in, this is the perfect opportunity for the first time homeowner to own a place in Jackson and say good-bye to renting.